The Department of Marriage and Family Therapy equips students to be professional counselors helping individuals, couples, and families. The department offers a master’s with an emphasis in marriage and family therapy, which develops a solid foundation in the theoretical and applied practice of professional counseling and includes interdisciplinary studies in theology, ethics, and psychotherapy. 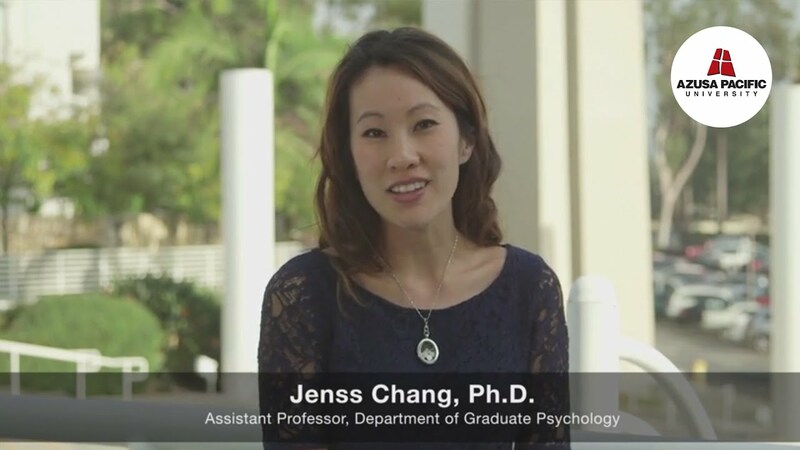 Meet the Faculty: Jenss Chang, Ph.D.
Jenss Chang, Ph.D., is an assistant professor in the Department of Marriage and Family Therapy at Azusa Pacific. Get to know Chang and the rest of our marriage and family therapy faculty.